Seattle Boat Show special price! The certified NMEA 2000® network connection ensures compatibility with your newer devices while the standard NMEA 0183 connections let you keep using your older devices. 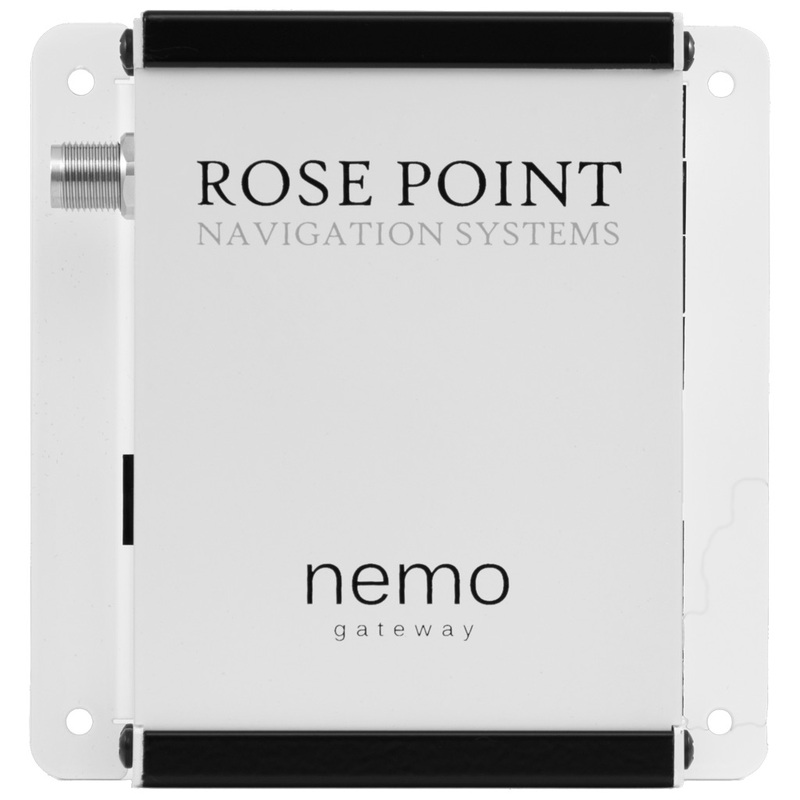 The nemo gateway works great with Rose Point ECS and Coastal Explorer, but it also works with any other app that can use NMEA 0183 data over a TCP or UDP network connection. The Ethernet interface allows multiple PCs, tablets, phones, and other networked devices to access instrument data and even control your autopilot. Most NMEA 0183 devices have bare wire connections which can be awkward to connect, especially once the device has been mounted. The nemo gateway solves this problem by providing individual screw-terminal connectors for each NMEA 0183 port and power. These connectors are plugged into the nemo gateway after connecting the wires from other devices and can easily be removed later if re-wiring is needed. On many vessels, the nemo gateway starts working right after you hook it up and does not require any configuration. More complex systems can be configured using Rose Point ECS, Coastal Explorer, or the Nemo Gateway app for iOS and Android. Configuration options include sensor priorities, NMEA 2000 PGN output, per-port NMEA 0183 sentence output, NMEA 0183 port speeds, and more. The NMEA 0183 input ports are optically-isolated and the talker ports use differential signals for full conformance with the latest NMEA 0183 standard ensuring maximum compatibility and signal integrity. The power input accepts a wide voltage range allowing operation on 12V and 24V systems and includes conditioning and reverse polarity protection. The Ethernet port connects to your existing network and configures automatically. If you don't have a network yet, you can start one with a low-cost home router. Make it a WiFi router to enjoy your data without wires! The nemo gateway handles prioritization of redundant position, heading, and speed sensors, maintaining a separation of the data from your primary and backup systems, and performing an automatic failover when it's needed.